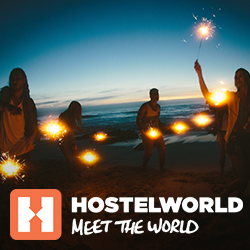 The post The best hostels in Perth, Australia appeared first on Hostelworld Blog. The post The 6 best hostels in Byron Bay appeared first on Hostelworld Blog. Almost every backpacker in Australia has encountered the term ‘farm work’ during their journey. Working on a farm down under gives you the opportunity to spend another year in Australia whilst being able to save up for the rest of your travels…. The post Australia Packing List: What to pack for your trip down under appeared first on Hostelworld Blog. The post 15 Australian desserts, snacks and spreads that will have your mouth watering appeared first on Hostelworld Blog.